Please do not enter the Ski Shores Cafe parking lot. 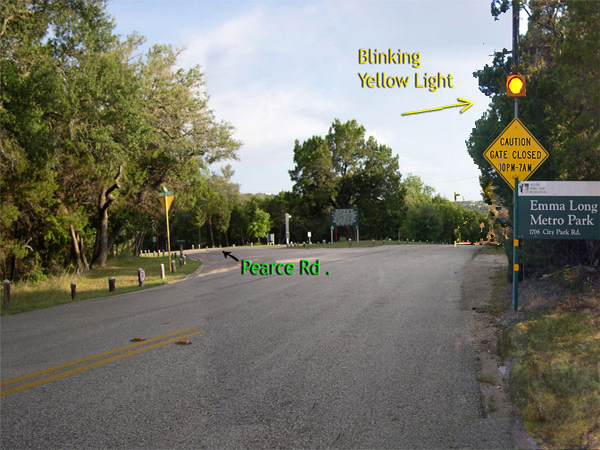 Turn the 2nd time you see Pearce Rd. at the yellow blinking light. 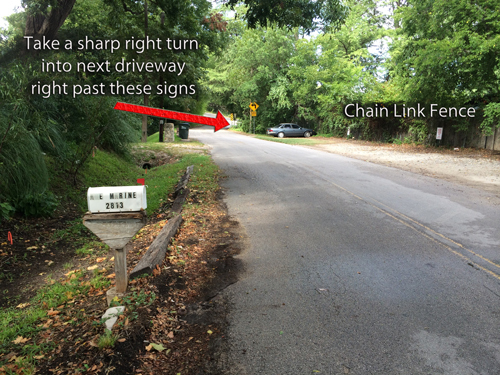 Drive one mile on Pearce. 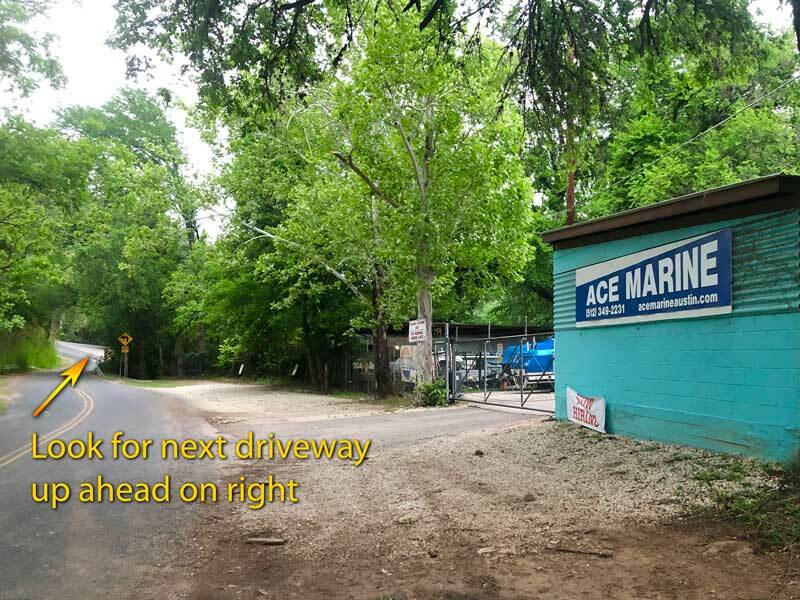 You will see Ski Shores Marina on your right. 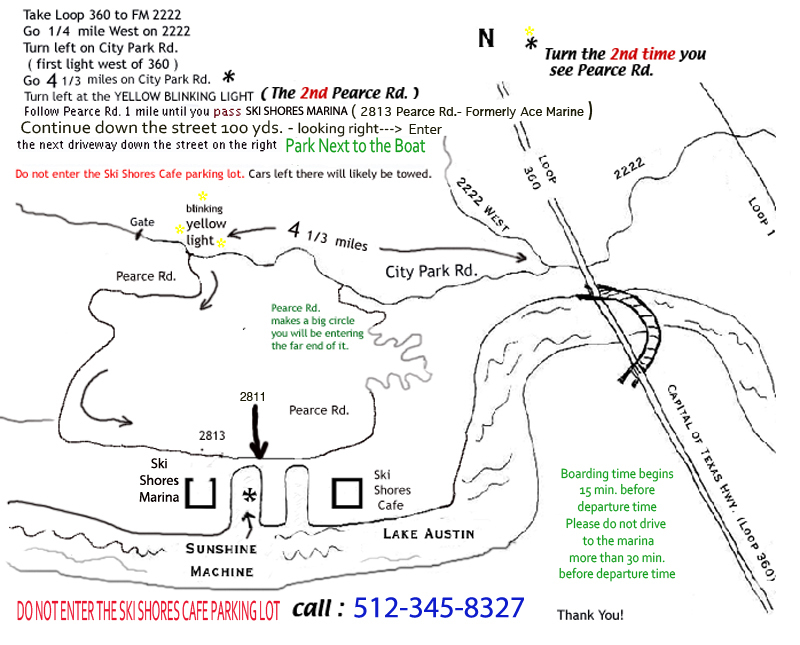 Continue on Pearce (150 ft.) past this Ski Shores Marina sign. 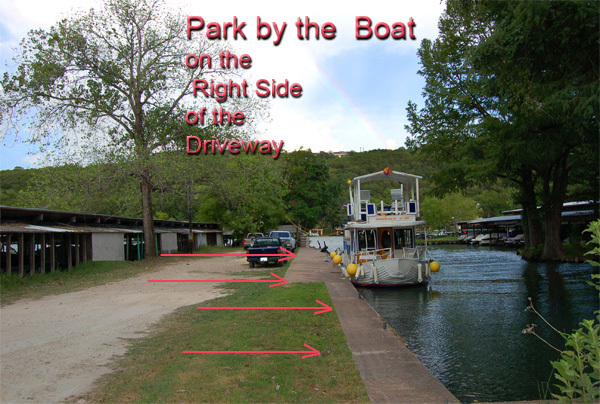 The boat is located in the small cove up the next driveway. 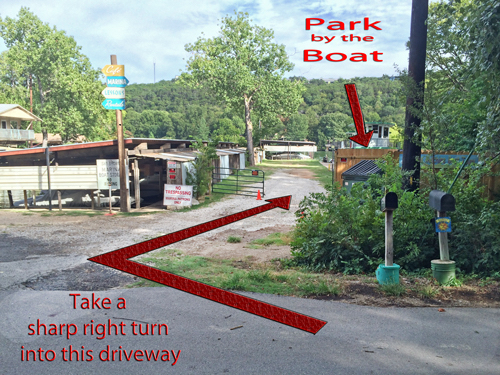 Take a sharp right turn into that driveway to park next to the boat.